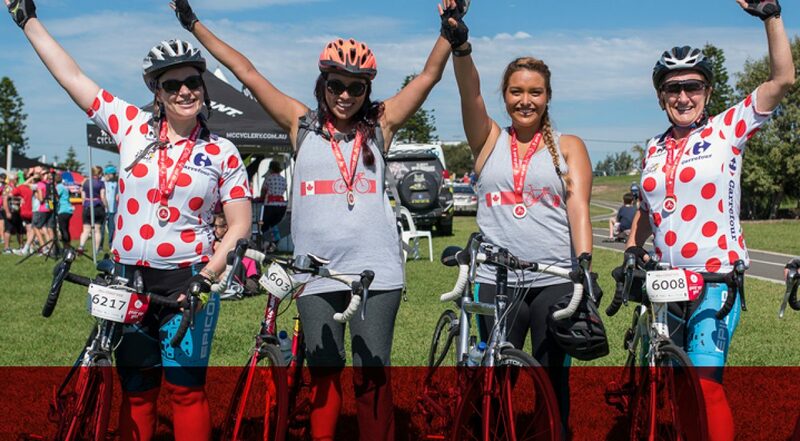 Heart Foundation Gear Up Girl is a Bicycle NSW initiative, run with the support of the Heart Foundation, that provides opportunities for women to experience the pleasure of riding a bicycle. Enjoy either the 20km Beach Ride, 40km Classic Ride, 60km Coast Ride or the 80km Challenge Ride. Gear Up Girl was founded in 2008 and has expanded into a mass community bike ride from Sydney Olympic Park to Cronulla, taking in some of the Cooks River cycleway, showing women where the best bike paths and routes are so they can revisit them whenever they want! Research shows that only 26% percent of riders in NSW are women (2016 Bicycle NSW Bike Riders Survey), a statistic we want to drastically shake up through Gear Up Girl.